Should you Repair, Patch or Replace your Roof? All roofs undergo a significant amount of change as they age. The roof is subject to dark spots, staining and fading as the roof gets older. While these changes are never to be ignored, you have to act when you see these changes. The goal is to avoid roof failure that could lead to structural damage or otherwise damage to the home’s content. Here’s when you need to contact licensed roofers in Orlando. The Orlando roofers should be contacted if the asphalt shingles are over 20 years old. A roof inspection should be scheduled because it may be time to replace the roof. If you happen to see dark streaks, then you may need to have the roof cleaned. Doing so will allow you to get a closer look at the damage. Replacing your roof may be necessary if you find that there is too much wrong with the roof once it has been cleaned. If you notice that the roofing is starting to sag, you need to contact Janney roofing to get the roof replaced. This problem often happens as a result of algae sticking to the roof. Once you have cleaned the roof with water and bleach, you can see what tiles are damaged. One clear sign that the roof is starting to fail is if you should start to see signs of buckling. Janney roofing technicians say the buckling problem may lead to clogging and other issues. If the shingles appear to be curling or bending, then you can probably get away with a basic repair with Orlando roofers if you act now. If you have noticed a few shingles missing after a storm, you want to contact Janney Roofing contractors immediately to avoid water damage. When you start to see fading problems, you can start planning some minor repairs. If the discoloration problem is too severe, then you will need to schedule a repair with Janney Roofing. 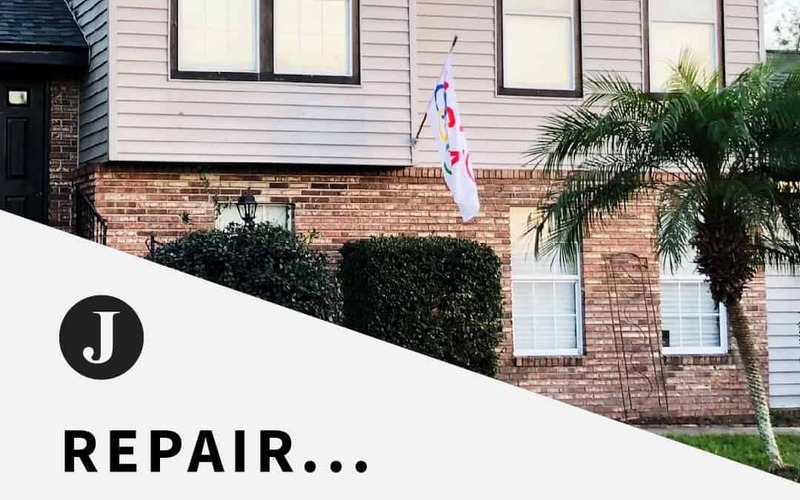 If after a recent storm, you notice that there are numerous loose nails throughout the area, you may be able to get away with minor repairs by Orlando roofers to only the affected region. If there is a leak that has occurred then chances are you need some patching done by Janney roofing. Your licensed roofers in Orlando can determine the extent of the leak, and if the leak is just in one area, you can patch the entire roof. If the shingles appear to be curling upward near an opening such as a chimney, you have to have Orlando roofers replace those shingles. The shingles can be straightened and coated with an asphalt roof cement to better seal areas where the edges have become exposed. Remember that the typical roof should be replaced every 20 years, according to Orlando roofing companies. Fading, buckling, and leaking are always signs that you need to speak to a professional. You can schedule a roof inspection with one of the Orlando roofing companies if you expect that there is damage to your roof. The earlier you act, the better the chances you have of being able to get away with a minor patchwork or repair here or there.